gplayer12 doesn't have a personal statement currently. Last night I was coming home from work, went to turn onto a road and hit an ice patch and slid into a curb doing about 15mph. My front wheel was the only thing that hit the curb, but now there is a grinding/rubbing noise when the wheel is spinning. As far as I can tell nothing looks visibly messed up besides some scrapes on the rim itself. Does is sound like the wheel hub/bearing? I don't have a mechanic as we work on all our cars, but should I take it to a shop? I've been browsing and posting here long enough, that I have now decided to start a project log. I bought the car in February 2012 and since then I have only had to change the tires, fix the oil cap and a leaking radiator hose. I have R1 concept slotted rotors and pads coming monday and I need to buy new struts since I'm pretty sure the previous owner lowered it on the stock ones. 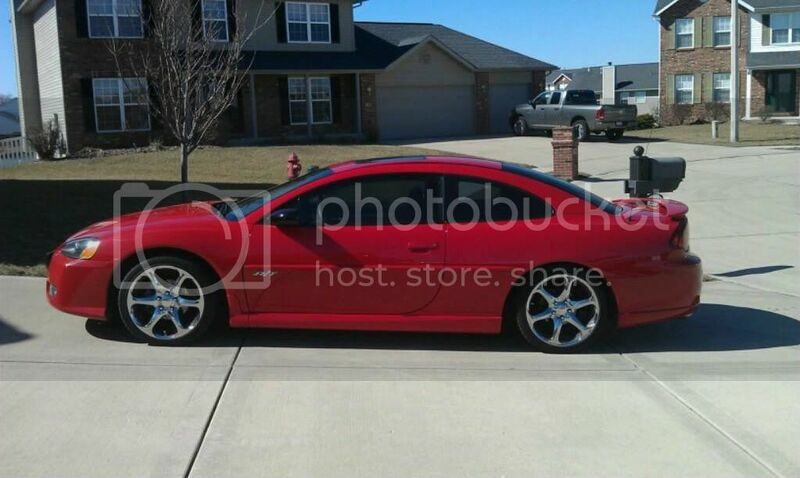 What do you guys think of these rims going on my car? 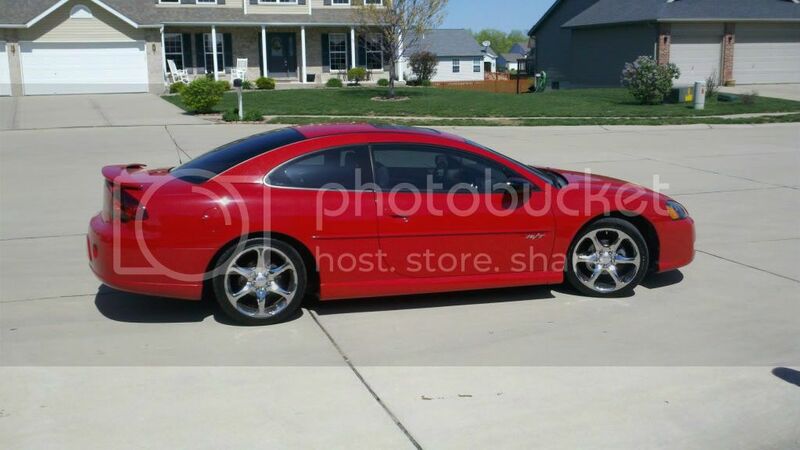 And has anyone ever seen gold rims on a red stratus, because I can get some pretty cheap? I walked out to my car today to see a semi flat tire. So I drove home, checked the psi 12, air it up to roughly 42 and when I come back outside an hour later to leave for work it looks like this.. I have searched every way I can think of and didn't find an answer. My drivers side door NEVER wants to stay open even on level ground. Is their a way to fix this problem? Other users have left no comments for gplayer12.